Retail was once seen as a mature industry with little room for innovation, but it has recently undergone serious transformation with major players like Amazon and Walmart vying for prominence. On this episode of Mastering Innovation on Sirius XM Channel 111, Business Radio Powered by The Wharton School, guest Venky Shankar, Professor of Marketing and Coleman Chair in Marketing and Director of Research at the Center for Retailing Studies at Texas A&M University, emphasized the importance of understanding and adapting to new consumer behaviors. New technologies are constantly changing the retail landscape beyond online sales, with virtual and augmented reality poised to play increasingly important roles. Shankar discussed how these shift retailers’ interaction with their customers, leading to trends such as omni-channel retailing or subscription-based revenue models. He explained that data is the new currency in retail, used to collect deeper insights on customer needs and behaviors. The successful retailers will be the ones who can grasp this enhanced level of customer segmentation to provide even more personalized offerings. Venky Shankar: There’s no better time to be in retailing than now. It’s the most exciting time. Just to summarize, it’s undergoing a lot of transformation. Brick-and-mortar stores are under attack. Some of them are struggling to cope with the change. We see the emergence of omni-channel retailing. We see Amazon becoming not just a retailer, but the company of everything. There’s the confluence of not just the online and the offline arm, but also the different types of seamless 360-degree experiences of customers, who now want to access retail from anywhere, anytime, through different devices, portals, and kiosks. All of these are leading to the emergence of a new landscape, if you will. For example, if you take today’s announcement by Target, they’re rapidly ramping up on trying to give us total experience. That’s not just online, expanding their e-commerce presence, but also the combination of ordering online, collecting offline, trying offline, and returning through multiple touchpoints. Right now, we are in the stage where lots of brick-and-mortar retailers will go out of business. Some of their businesses will get redefined, and we will see the emergence of consolidation and new players, so there are interesting things ahead. Nicolaj Siggelkow: We hear this term “omni-channel” all the time. Could give us a definition of what omni-channel is, for our listeners? Shankar: Omni-channel has to be viewed from the perspective of a shopper or the end consumer. It refers to the repeated interactions with the retailer through multiple channels, touchpoints, devices, and formats. One way to think about it is that it is a description of the shoppers’ journey as they move through multiple touchpoints, from discovering, searching, and thinking about the purchase to ordering, returning, and post-purchase behavior and intent. It includes all of these. Siggelkow: Who’s doing this well right now? Shankar: There is no particular retailer that’s exemplary in all of them, but people are making progress. You mentioned Walmart trying to ramp up significantly from offline to online, Target, too, to a certain extent, and Amazon from online to offline. Best Buy, after a lot of struggles, seemed to have worked out at least a stable business model that now works online and offline. I can give you more examples of retailers that are not doing it very well and are struggling about it. It’s a journey in progress for a lot of retailers, and people are discovering how shoppers behave as more and more technologies are introduced. Harbir Singh: Venky, one of the interesting concepts in marketing strategy is about making hard choices, not being all things to all people. One of the dilemmas here is, what do you do in terms of channel choices? What do you do in terms of product line choices that match them so that you actually win? Because it may well be that people end up trying things they’ll not be good at and dilute that existing model. There may be others that are precursors of a new model, but somebody else comes in and does it better. I’m sure you’ve thought a lot about this. Shankar: That’s true. It used to be the case where firms did have a clear view of the landscape, and they could choose where they could be strong and where they could be competitively disadvantaged. But I think what is happening in this scenario is that as technology is fast morphing, more options are given to shoppers and consumers. As more options are given to them, we are starting to see how they behave. Once retailers and service providers are able to see that behavior, they’re also able to see how they should adjust their strategies. One of the pointers in trying to figure out these choices is trying to understand the different segments of shoppers that exist out there. For example, there’s a lot of research that’s emerging that classifies shoppers into online-only shoppers or offline-only shoppers. Within online, how do they shop? Are they shopping primarily for discovery? Are they collecting items? Are they testing items? For example, clothes and fit products. Are they doing showrooming? If you look at digitally native companies like Warby Parker or Bonobos, even they are going offline because they understand that their consumers would like to still try and have showrooms, whether it’s fitting pants and tops or whether it’s fitting glasses. Likewise, brick-and-mortar retailers like Macy’s are fast understanding that people don’t need to come to big Macy’s stores. All they need is a feel for the products, and they can go to online where the assortment is endless. Then, you have virtual reality now that can give a view into all the different products that they could test. All they need to have is more fulfilment or warehouses. Coming back to the question of strategic choices, better insights are now had by understanding very deeply the segments that are emerging. Firms could choose to be targeting some of these segments and be very strong with what the needs of the segments are. Venkatesh (Venky) Shankar is Coleman Chair Professor of Marketing and Director of Research for the Center for Retailing Studies in Mays Business School at Texas A&M University. His areas of specialization include digital business, marketing strategy, innovation, retailing, international marketing, and pricing. 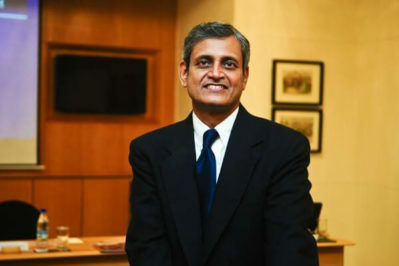 Shankar has been recognized as one of the World’s Most Influential Scientific Minds by Thomson Reuters and as a Top 10 scholar worldwide on innovation. You can find more information on his website.